You make a great point about the inevitable difficulty infrared homing missiles will more frequently encounter with the deployment of the countermeasures you mentioned. The thing is that if the guys on the front line are just going to be shooting at a bush with a sniper in it, or a room in a building with a MG position then super high tech guidance is not only not useful, it is a drawback because it does not help much, and you still have to pay for it. I concede that the Kornet's 8km range, power and guidance is more suited for anti-tank operations especially when infantry mobility is factored in -- as you point out. 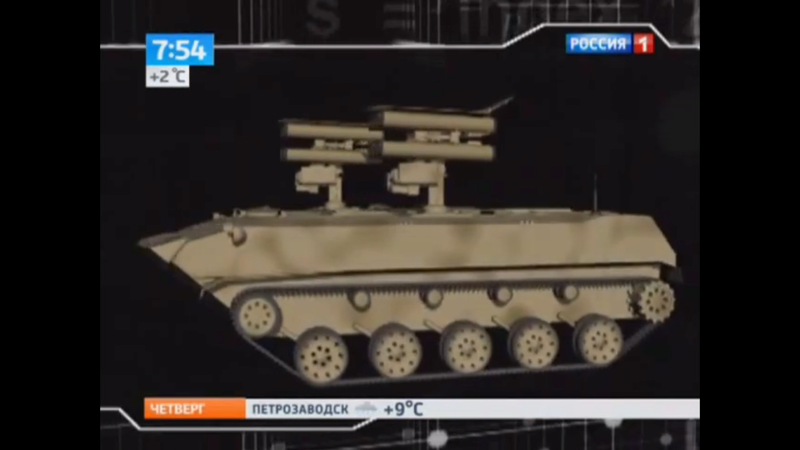 The two things we know they are working on is a medium range very small fire and forget missile for use on armour in a retractable mount with what appears to be half a dozen ready to fire rounds, and an upgraded SPG9 type weapon. The former might be a javelin type missile, while the latter is more like an extended range RPG for cheap simple use against enemy positions from a safe distance. Personally I think for the medium range weapon a beam riding guidance system and high flight speed would make it much better than an IIR guided model that would be fire and forget. I was under the impression that Russia was thinking of introducing a Fire & Forget missile (Baikal) and that this was to be a replacement for the Metis-M1 for special forces. The only applications for it I have seen is as a mini weapon on IFVs in a multi tube retractable launcher... but if they were going to introduce a fire and forget IIR guided ATGM then it would make sense to use it in special forces units only... would be too expensive and wasteful for general issue. Reducing the size and weight of electro-optical sighting systems would make the Metis-M1 even better, so I hope they do precisely just that; a fiber-optic link would also be a welcome feature. And no, I'm not advocating for adding IIR/CCD systems to the missile. I see what you are doing there... but still think a laser beam riding guidance system to replace the wire, and reduce the warhead and greatly increase the speed and add a terminal dive to the trajectory to get a diving top attack weapon on the cheap with a high flight speed shortening the engagement time to a minimum. Yes, that would be better than using the drones to designate targets; you could probably use laser-guided S-8 rockets as well. Yes... they are talking about new modular rocket pods for aircraft that are square that include 80mm, 122mm, and the old 57mm rockets.... the latter were dropped because of their very light payload, but with guidance then the small payload actually becomes a virtue because there is less collateral damage around the place. From memory the HE payload of the 57mm rockets was about 800 grammes, so about 5-10 times the mass of an average hand grenade... but with improved accuracy that could easily get most jobs done against enemy forces or light unarmoured vehicles. The main advantage of the 57mm rockets were numbers as the 16 and 32 round pods were pretty standard... the former for light platforms and the latter for helos and aircraft... compared with 7 shot pods and 20 shot pods respectively for the 80mm rockets. That's a very good point and I really have no answer to that, especially in relation to the general army. SF and Commandos are usually equiped with more capable, more expensive equipment, and so such an expense could be more easily justified for these armed units. Even the usually extravagent US Military has conceded that the Javelin is simply not cost-effective and have consequently ordered recoiless rifles for their troops in Afghanistan. The Carl Gustav has made a comeback. On paper it sounds clever, but when you hand it to ordinary troops in a combat area where the enemy simply have no armour it really does not make sense... I mean if each shot is destroying a 2 million dollar tank then you could say it is not so bad, but when it blows up a taleban soldier and a bush... if you had walked over there and said.... look this missile costs $500,000 dollars... I'll give you $50,000 US dollars to go home and forget about this war he would probably be very keen... especially considering the alternative is to get blown up. The CG is a great weapon and seriously under estimated in most western forces... it has a wide range of very capable rounds and is relatively cheap. The Russians have an enormous range of shoulder fired weapons that do pretty much the same thing and the reintroduction of the SPG-9 makes a lot of sense... especially with new ammo and new sights. 120mm mortars are also very useful in mountains too. The anti-tank missile complex Metis-M1 will improve its technical performance by one and a half times. Currently, work is underway to upgrade the complex, as a result of which it is planned to increase its range from 2 to 3 kilometers. For work that will last at least two years, allocated 90.18 million rubles. They are conducted under the code "Metis-M2" in the framework of development work on the "development of anti-tank guided missiles 9M131M1-1 and guided missiles 9M131FM1 increased range (3 km)." It is reported by "Interfax" with reference to the data posted on the portal of public procurement. Metris-M1 ATGM was adopted in 2016. At the same time, its mass production has been conducted since 2004 for both domestic and foreign customers. It is designed to destroy modern tanks, equipped with dynamic protection, lightly armored targets, pillboxes and bunkers in adverse weather conditions. The complex is equipped with landing troops, infantry and motorized rifle formations. That will be interesting... I wonder how they will achieve the range increase? If it was up to me I would probably drop the wire guidance and use a smart lofted trajectory laser beam riding guidance to allow a climb on launch and a dive onto target with a trajectory formed by automatic control of the guidance laser beam that creates a terminal top attack flight profile. Dropping the wire guidance means higher flight speed and less restrictions on flight manouver performance, while a lofted trajectory should allow an increase in range especially if wings are added for a glide flight profile to target. The launcher could have the missile angled upwards at perhaps 45 degrees except for close range engagements and a wide field of view camera can track the missile and shift the guidance laser beam to create a lofted flight profile to extend flight range and create a diving top attack flight profile to target the thinner top armour of the target. This would allow a reduction in the size of the warhead from the 950mm penetration warhead currently used to a smaller warhead with better under armour performance... ie a thicker plasma beam that blows more material into the target to a shallower depth of armour. You would need a HESH warhead for that - largest HEAT jetstreams are index finger thick. HESH is worse than useless... totally ineffective against any sort of spaced armour and performance dramatically reduced with anti spall linings like Kevlar and aramide fibre. MOSCOW, January 9. /TASS/. Russia’s latest Kornet-D1 anti-tank missile system designated for the Airborne Force will undergo state trials this year, the Defense Ministry reported on Wednesday. "In 2019, the latest Kornet-D1 anti-tank missile system designated as armament for artillery and paratroops’ units will undergo state trials before it is accepted for service in the Airborne Force. 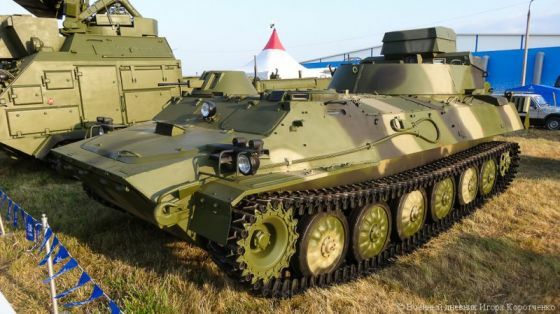 The self-propelled anti-tank missile system based on the chassis of the BMD-4M airborne assault vehicle that is landed by the parachute method will possess unique capabilities by the range and the accuracy of its fire," the ministry said. Paratroopers will fire the new precision weapon from the vehicle’s fighting compartment remotely, the ministry stressed. "The trials of the new weapon developed for anti-tank units of the Airborne Force’s artillery will be held at several ranges of the Russian Defense Ministry. The anti-tank missile system will be among the first most advanced precision weapons developed for the Airborne Force’s artillery formations and will considerably enhance the firepower of airborne assault and parachute units," the ministry said. 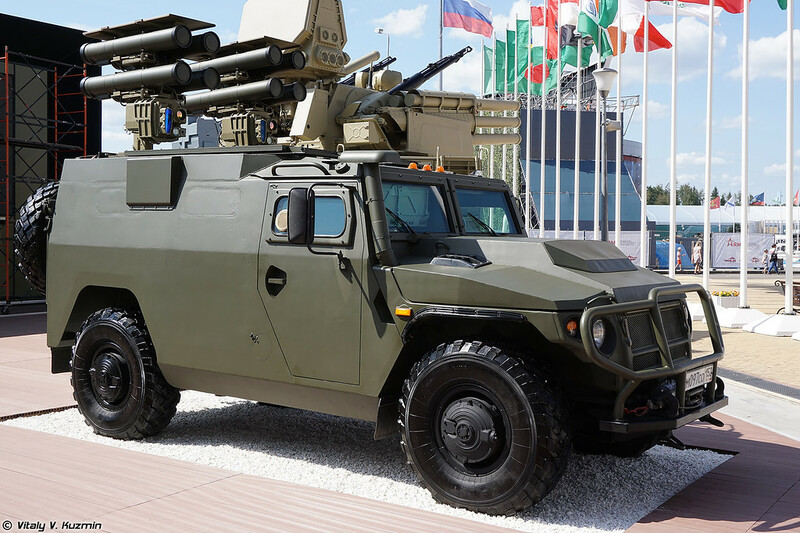 Nice, so they will get a vehicle that has an automated launcher for the new Kornet ATGM, which has an anti armour range of 8.5km and a 10km range with HE warheads. Previously they had the infantry troop transport BMD with an external launcher on it for ATGMs, which is really not as good. Nice, but that introduces the same issue I have with the Tigr mounted Kornet system... those two turrets block each other from covering 360 degrees. I like the fact that there are 8 ready to fire missiles and that there are in fact two separate guidance and control systems. What I don't like is the fact that these two systems are side by side like machine gun turrets on an early T-26 tank... which limits their use to less than 360 degrees when both are extended up. In the image above they seem to be stepped or staggered rather than side by side which might improve field of view issues... but still not super happy... yeah I do need to lighten up. The optics and guidance components seem to be below the missiles so during guidance the entire load of four rounds and top cover are exposed to enemy view during the engagement. Separating the optics/guidance from the missiles means you can raise the optics and find targets... raise the missiles... launch and then retract the missiles and replace any missile launched with a reload and be ready to fire if need be with the other set of missiles extended. As I said previously, they are going from AT-5 from a manual launcher to this automated system... I should be more impressed. 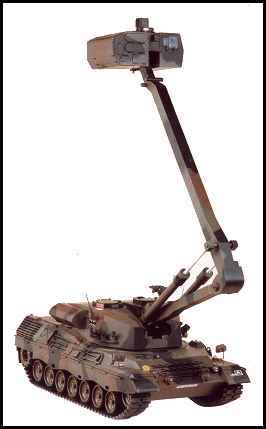 GarryB wrote: Nice, but that introduces the same issue I have with the Tigr mounted Kornet system... those two turrets block each other from covering 360 degrees. You might be overthinking it. From my understanding one launcher can be lifted and the other can set in the rest position. Just take a look at the Kornet-D system on the Tiger-M platform. As seen here, at the :58 second mark through the 1:16 mark, the launchers show to have independent lifting and rotating mechanisms. They're not going to work in a vacuum. Ooh I like that idea. 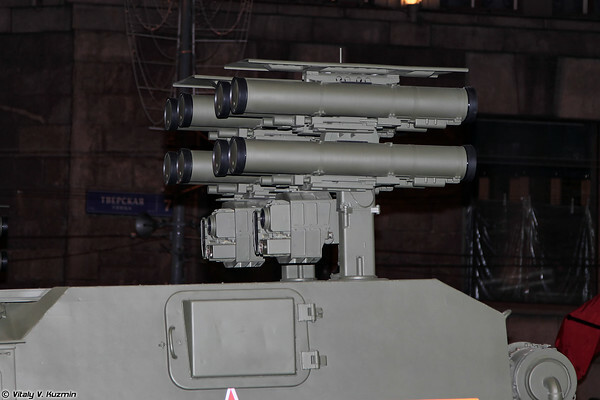 Don't understand why these Kornet setups put the optics below the launchers? I guess a question of clearance, tried it the other way & found missiles tended to impact the cover? Side point: is there any sign of a Javelinski? ie a fire-&-forget ATGM. Or they have one already that I never heard of? I think I am over thinking it... with two launchers deployed it should be able to engage two different targets with a total of four missiles (two per launcher) but while each mount can turn independently I don't think each can fire 360 degrees while the other launcher is up. Also with the missile tubes above the sensors/optics even after the missiles are fired the tubes are visible to the enemy... on something like Krisantema there are two tubes raised but when the two missiles are fired the launcher can retract and reload even while the missiles are in flight. I just think separating the optics and guidance system from the missiles... the optics and guidance system can be mounted on an arm so it can be raised up to see over cover or concealment, while the launch tubes could have 8 ready to fire missiles in a big rotatable mount like the one on the BRDM-2 with the AT-3 missiles (but 8 tubes instead of 6 missiles). The missiles could be angled up to loft the missiles into the line of sight of the guidance system and the target. With the sensors on the arm you could only attack one target at a time but you could use it more effectively in places with hedges or low bush cover that makes line of sight at ground level difficult. 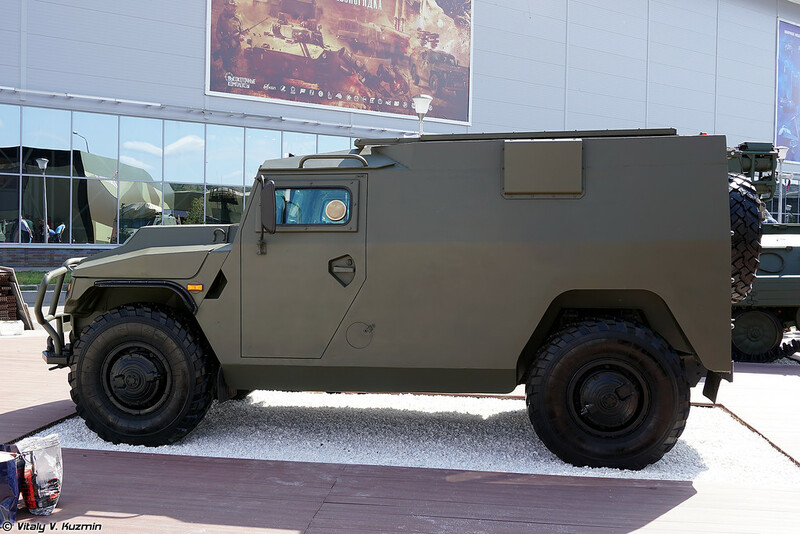 It would also make hitting the vehicle it is mounted upon much more difficult... it could be a Tigr 4 wheel drive or it could be an Armata tank for all the enemy know. hoom wrote: Ooh I like that idea. There ist the RPG-32. Uses the same method as the Javelin. Was developed for some ME Country (Jordan?). I guess it´s like magnumcromangon said, in the firing position one launcher will be raised and used, the other will stay inside the vehilce, except when there are more targets in front of the vehicle so the number of usable missiles is important and not the 360° coverage. 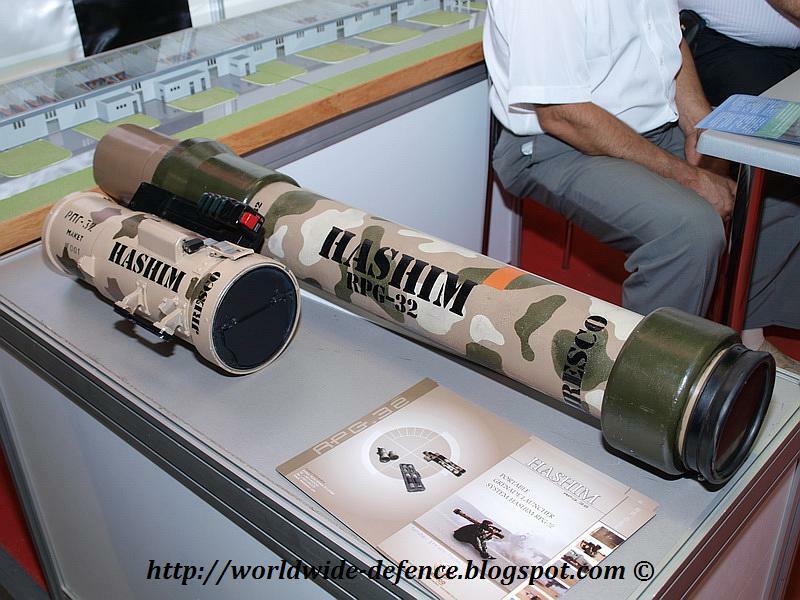 Also most of the time ATGM systems are used in ambushes, they choose the place and time of attack. A 360° coverage would only be useful it the vehicle is on the open battlefield and himself attacked from the rear. Why the optics are under the missiles? Maybe in the down position the missiles can be easier reloaded that way. The optics will be close to the floor of the vehicle, the missiles above them = easier to reach??? There ist the RPG-32. Uses the same method as the Javelin. Doesn't appear to be a guided missile? 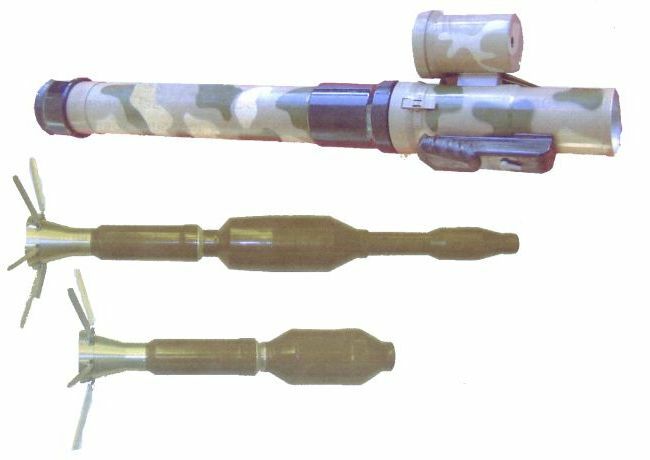 The RPG-32 just fires the RPG-29 unguided rockets and the RPG-26 unguided rockets... ie 105mm and 72mm rockets in both the HE and HEAT versions. 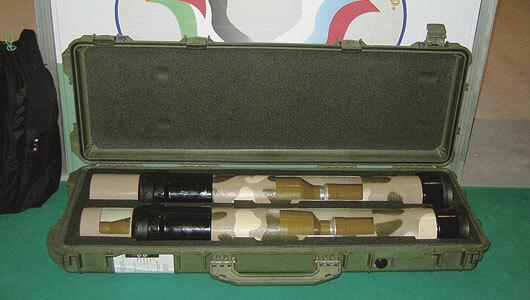 The RPG-32 is a sighting system clipped onto the rocket tube and it has a ballistic computer and range finder to place an impact point in the viewfinder... put that on the target and fire and you have a reasonable chance of hitting the target with the different rounds using different settings in the sight. A bit like a ballistic scope for a rifle... set the type of ammo, and enter the range and it will generate an approximate impact point... which you use to aim. Also with two separate posts and two control positions one can be using the weapon while the other looks for targets, then the one who fired can lower his launcher and reload any rounds that were fired while the other can engage up to four targets before he has to reload too. In the near future, it is planned to work on the creation of a single wearable and multi-purpose self-propelled ATGM that implement the principle of“ shot-and-forget ”and ensure the possibility of launching a rocket from small unprepared rooms and firing fortifications,” the message said. This is reported in the collection of "Rocket-technical and artillery-technical support of the Armed Forces of the Russian Federation - 2018", published by the Main Rocket-Artillery Directorate of the Ministry of Defense of the Russian Federation.